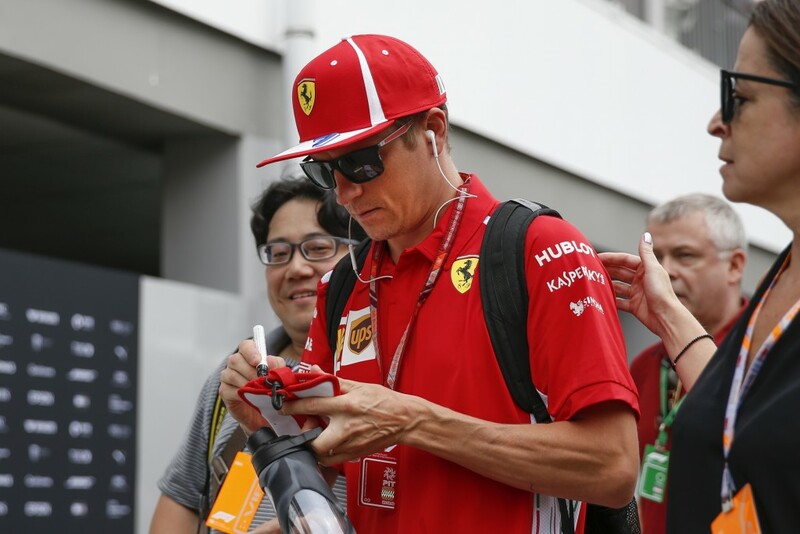 SINGAPORE (AP) — Sebastian Vettel posted the fastest time ahead of Ferrari teammate Kimi Raikkonen in final practice for the Singapore Grand Prix on Saturday. 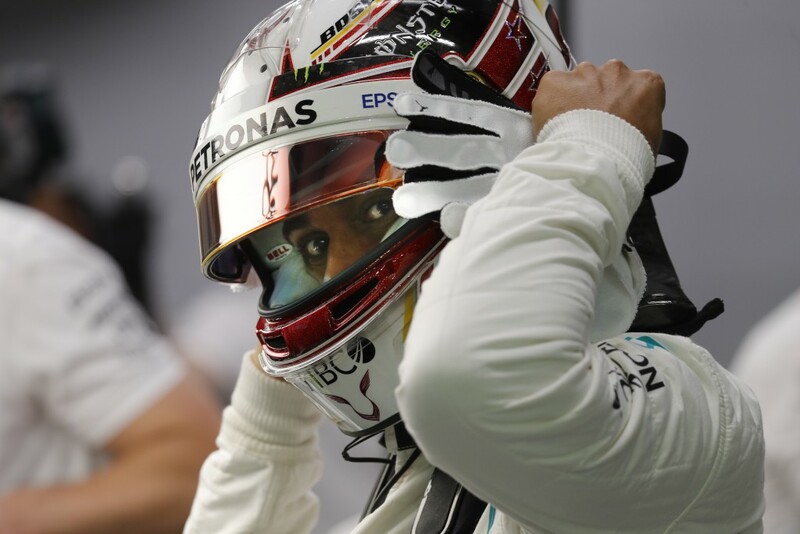 Vettel was .36 seconds quicker than Raikkonen and .5 clear of Mercedes driver Lewis Hamilton on the sinewy 5-kilometer (3.1-mile) Marina Bay track. Hamilton's Mercedes teammate Valtteri Bottas was fourth quickest. Qualifying starts 9 p.m. local time (1300 GMT). Red Bull had a tricky session on a street circuit which is meant to be well suited to its cars, with Daniel Ricciardo fifth ahead of Max Verstappen. 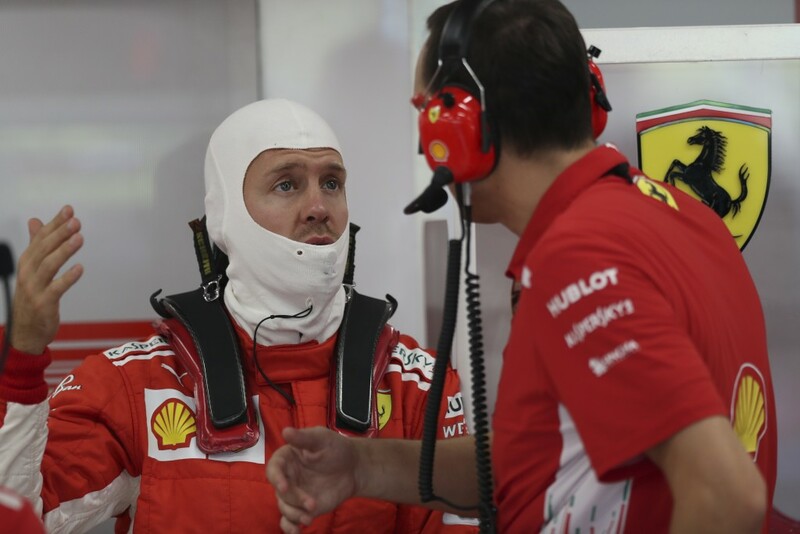 It was a welcome boost for Vettel, who was ninth in Friday's second practice after clipping a wall and slightly damaging the right rear of his car. This time, his car looked perfectly balanced and considerably quicker than Mercedes. Ferrari is looking for another 1-2 in qualifying after Raikkonen took pole position from Vettel two weeks ago at the Italian GP. Hamilton leads Vettel by 30 points, with six races remaining after Singapore.